By writing valid CSS and using custom properties you can future-proof your code; here's how to get started. Using a preprocessor like Sass (find out more in our article on what is Sass?) gives you at least one extra build step, which can be a pain if you just want to build a thing fast. CSS has come a long way since the dark days of table hacks, so let's look into one of the most useful aspects: custom properties. We'll start with a simple example. 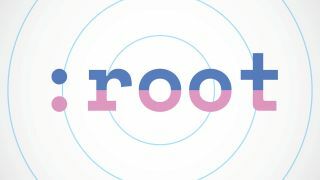 The :root pseudo selector targets the highest-level parent element in the DOM, giving all elements access to --color-red. Yes, CSS variables definition should start with --, and you can access them anywhere with var(). Well, anywhere that is cascaded under our :root selector. Every var(--color) is red, except every var(--color) under site-navigation. Generally speaking it's not an ideal practice to overwrite a value that is already defined but there are cases in which a scoped value is still the most adequate solution. Under 640px the media query triggers, changing the flex direction to column on site-navigation class, making its content vertical (column) instead of the default horizontal (row). In this example, because of the default variable given to site-navigation, you don't even need the initial :root definition of --flex-layout; instead it will actually go straight to row. This is cool but it's not all fun and games just yet. For instance, since the media query is not an element, the breakpoint value cannot come from a custom property. Although CSS Working Group has a draft of using env() for queries, vendor implementation and proper support is probably years away from where things are today. That's okay. We will stick to what we have now. One more advanced use case for a custom property is switching themes. You can define a base theme, build your website around it and just switch it out, with the browser doing the heavy lifting. And it's not even that heavy. Essentially, think of it being along the lines of Twitter's Night Mode, but without you actually switching the CSS (I see you). Input colour's picked value replaces the document's --color value, making the change without a hitch. You can play with blend modes, alpha channel colours or pngs – endless possibilities and fun. Now with your future-proof CSS in place, which doesn't depend on any third-party developer and uses only custom properties, there is a good chance you are covered and ready to kick-start production. But what if you want something other than variables in your code, let's say CSS modules? As of today, for existing CSS features like modules or nesting, you couldn't spare the extra build step any longer, but you can implement it with the sweet promise of not having to rewrite code when vendors catch up with the spec. This article was originally published in issue 306 of net, the world's best-selling magazine for web designers and developers. Subscribe to net here.